Want to help them get their wiggle back? There are many ways to help Boxer Rescue Angels of Florida! Whether you have a lot of time to give, or only a little, we are grateful and appreciate all who offer the gift of their time to help the Boxers! If you are interested in volunteering, please submit an Application and check “Volunteer”. We always have a need for Foster Homes. The more Foster Homes we have the more Boxers we can rescue. Please consider fostering, at least once! You’ll find it is a rewarding experience to know you have helped change the life of a deserving Boxer on its way to a forever home. If you love Boxers but are unable to commit for 10-12 years, fostering may be a way for you to help. 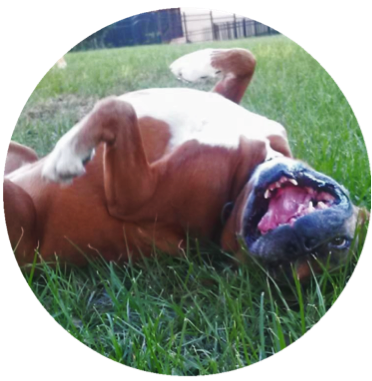 Please visit our Foster a Boxer page for more info and to submit an application. – Donate a tax-deductible monetary contribution which will go directly toward helping the Boxers. – A Matching Gift Program, if offered by your employer, can increase the value of your contribution. Your benefits or human resources office can provide the info and forms needed. A rescue program is only sustainable through the efforts of volunteers and supporters and we thank you for your interest in helping Boxer Rescue Angels of Florida. For more info please Contact Us.